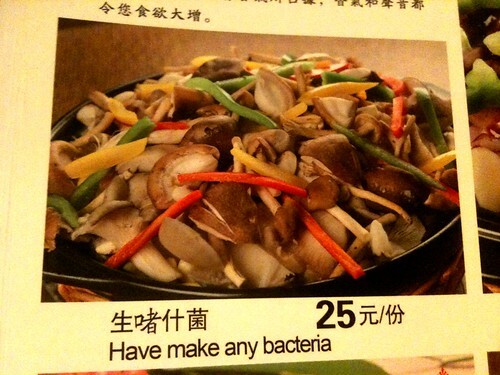 I’m curious what kind of restaurant is that . 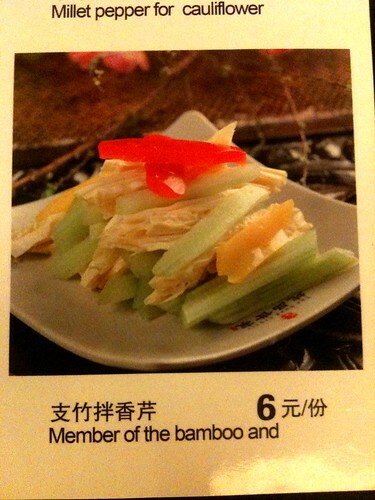 I’m not sure… general Chinese? 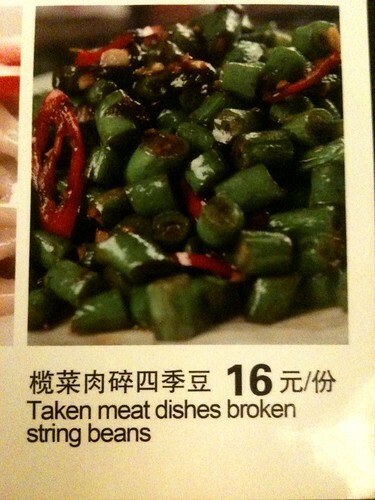 Strange that some were cut off. My favorite would have to be the one that begins with an apostrophe. 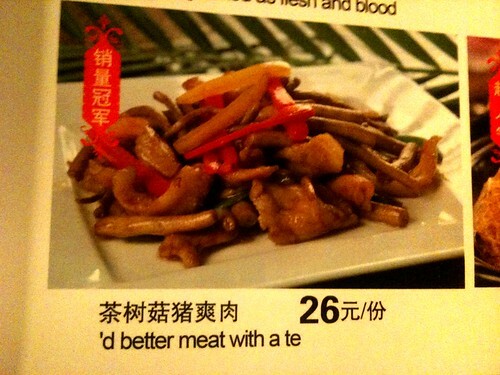 (‘d better meat with a te) Gives it kind of a folksy flavor. 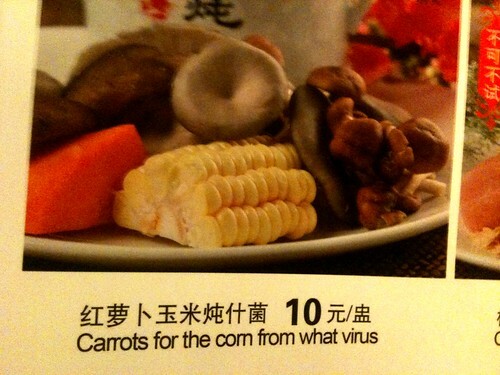 Okay, I realize the example I’m about to give is not a translation, but I thought it was funny and almost on-topic. This is more along the lines of “not the best possible name for a store” (in U.S.A.). 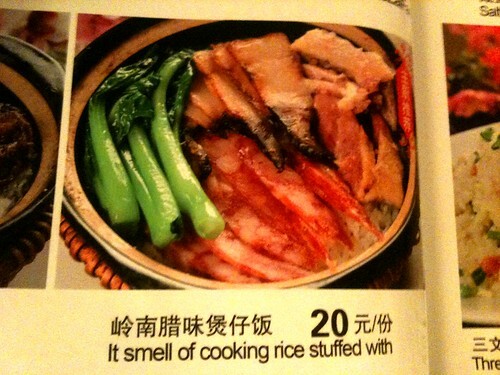 In case it’s not obvious, the part I found humorous is the closeness of an-tai to anti. I bank my whole life saving for any software that can translate those right. 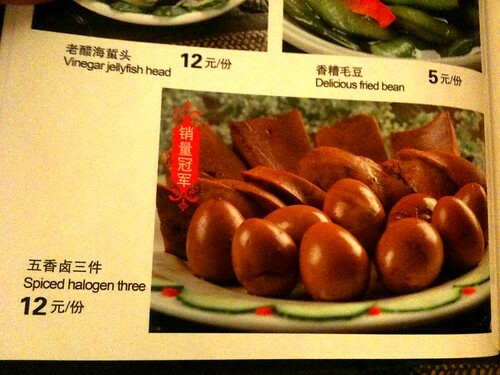 I mean, look at those Chinese dish names. Sigh. 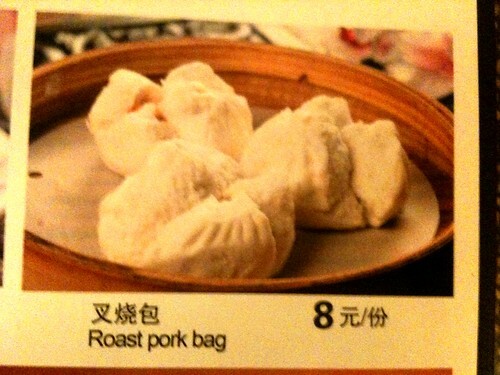 As much as one tries, over the years, to rise above it, sometimes the translations are so bad one can’t help but laugh. 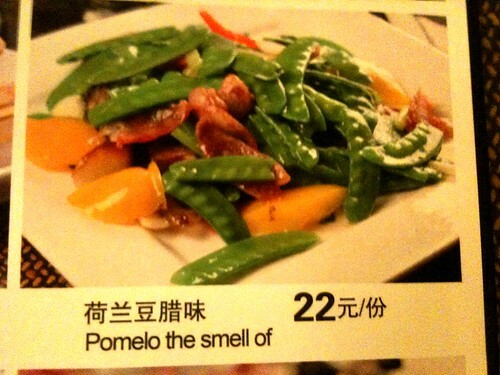 In one restaurant in Hangzhou I was tickled by “The wine smelt fcks” and “the garlic joss-stick fcks to fry the sauce meat” but by the time I got to “the old method vegetable bums the goose” I literally had tears rolling down my cheeks and a very sore ankle from where my wife was kicking me to stop the waitress glowering at us. Good times. 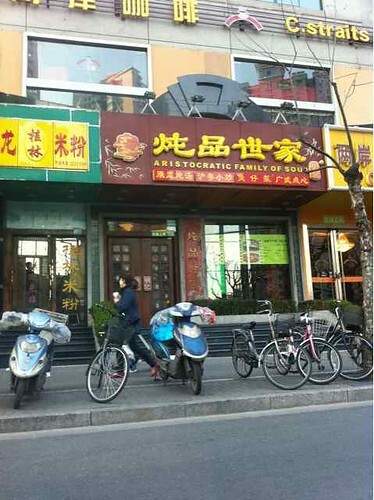 It’s funny, I passed by this place on 万航渡路 last Sunday when I got here, couldn’t resist taking a picture. Don’t you think it’s actually intentional humor in this case, did you ask about the owner? 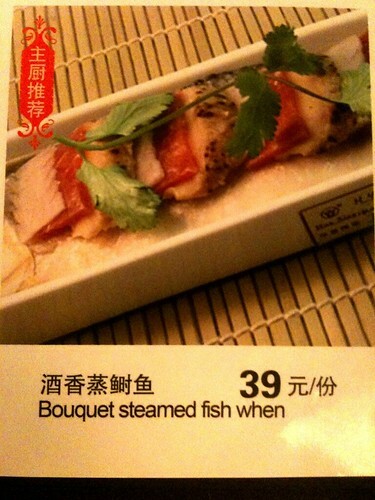 This restaurant takes the cake for Chinglish (Chingrish) menu adaptations. But then again, I just saw a restaurant named “KING DONG” in Berkeley, CA.